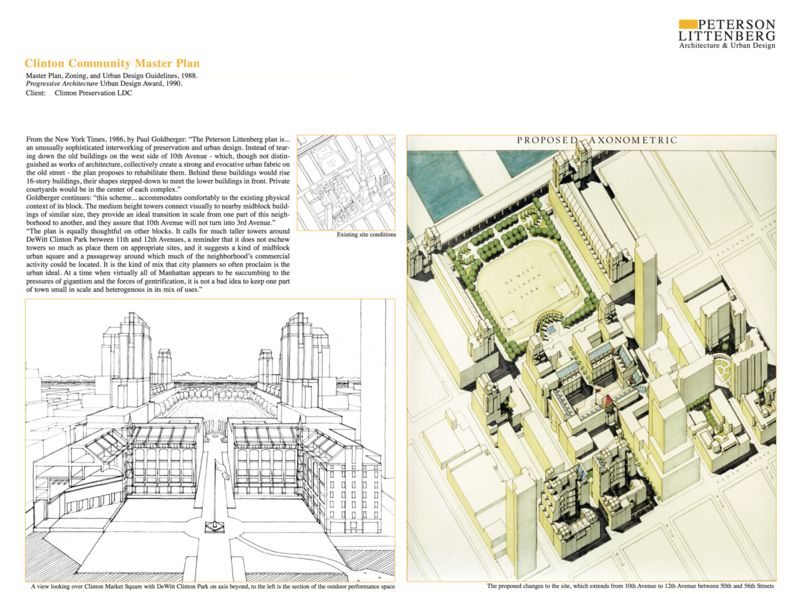 Master Plan, Zoning, and Urban Design Guidelines, 1988. Progressive Architecture Urban Design Award, 1990. 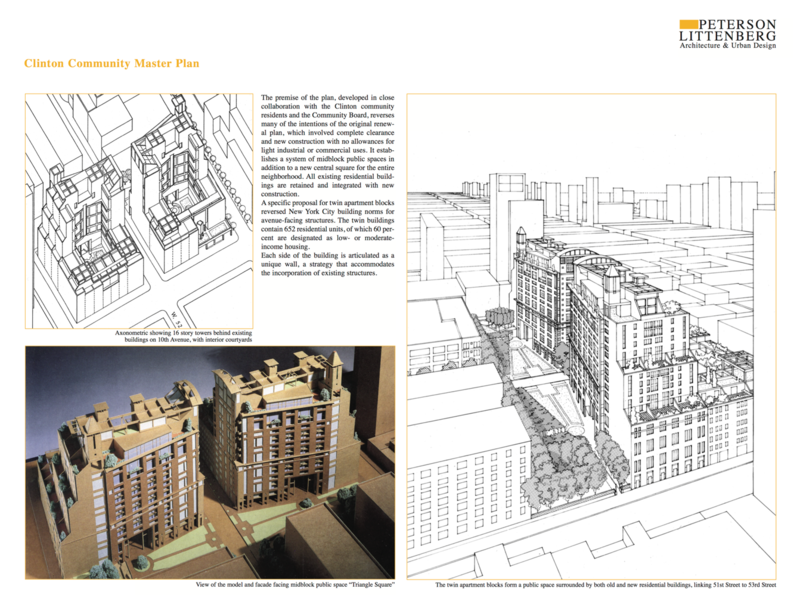 The premise of the plan, developed in close collaboration with the Clinton community residents and the Community Board, reverses many of the intentions of the original renewal plan, which involved complete clearance and new construction with no allowances for light industrial or commercial uses. It establishes a system of mid-block public spaces in addition to a new central square for the entire neighborhood. All existing residential buildings are retained and integrated with new construction. 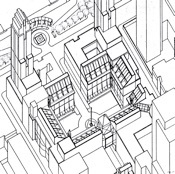 A specific proposal for twin apartment blocks reversed New York City building norms for avenue-facing structures. The twin buildings contain 652 residential units, of which 60 per- cent are designated as low- or moderate-income housing. Each side of the building is articulated as a unique wall, a strategy that accommodates the incorporation of existing structures.